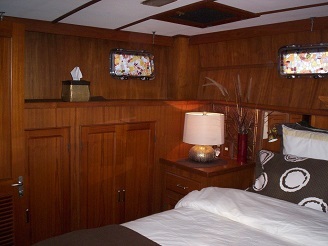 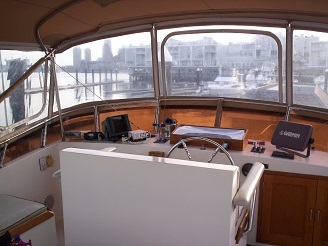 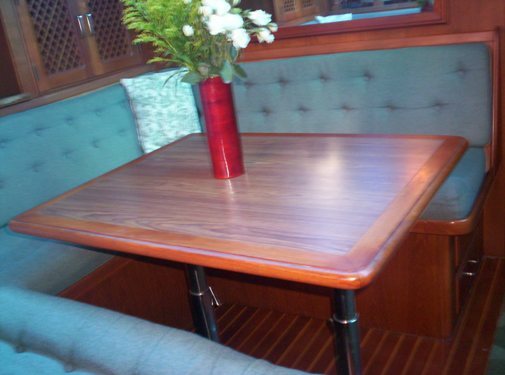 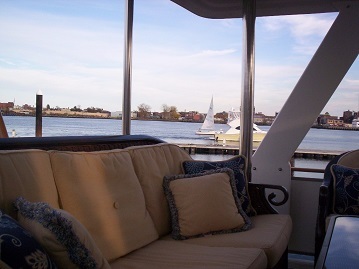 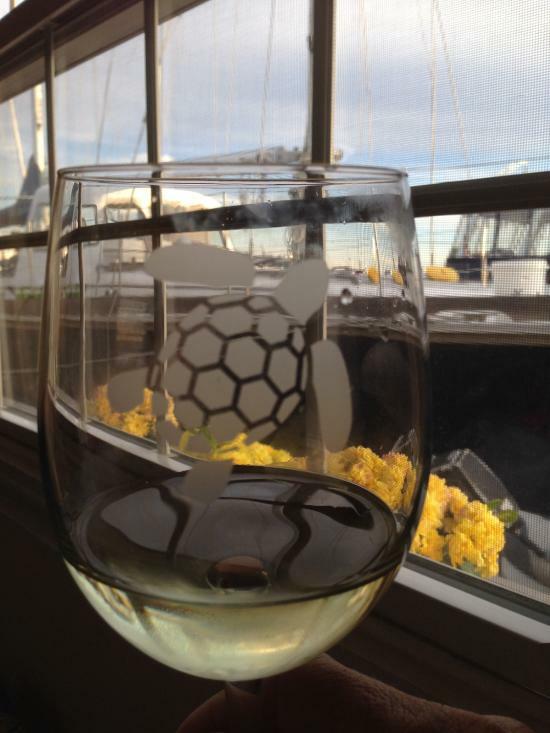 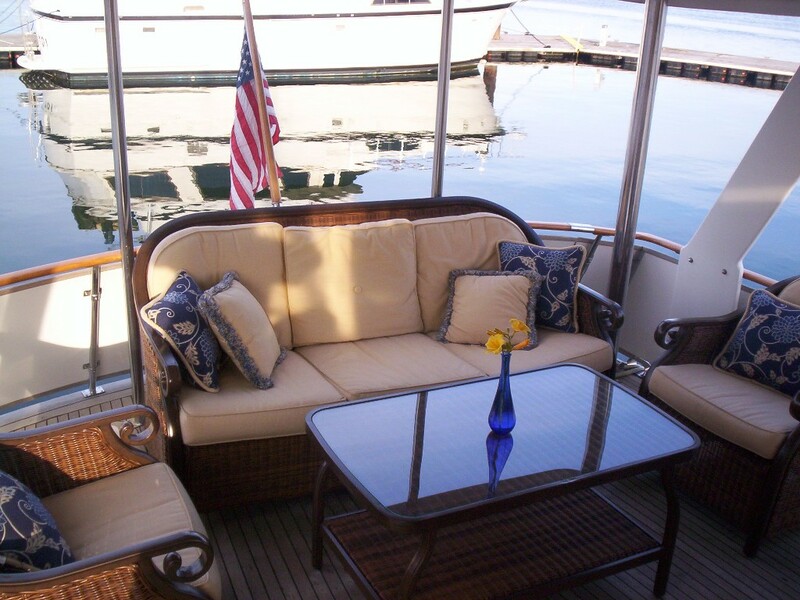 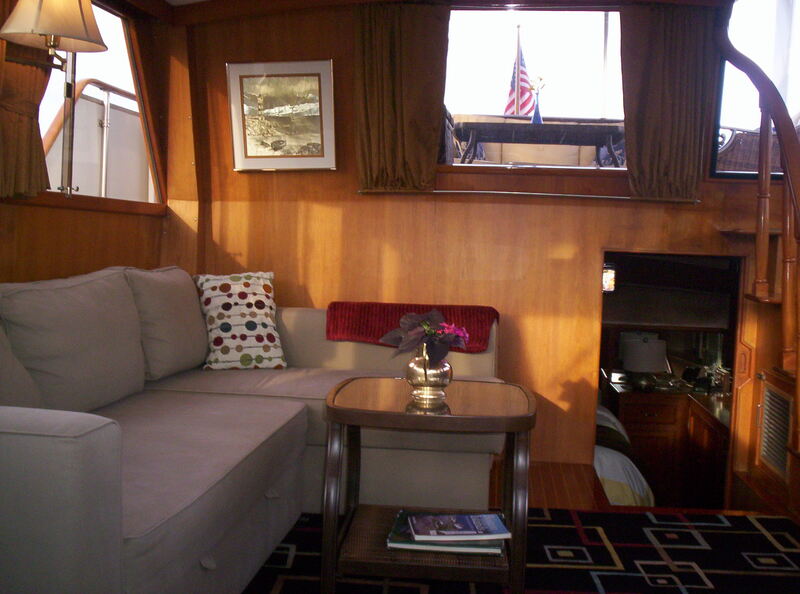 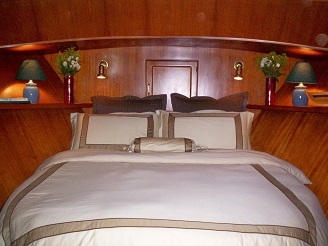 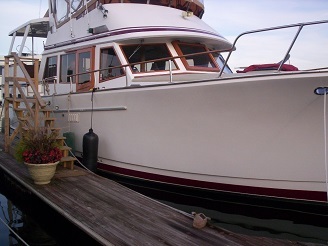 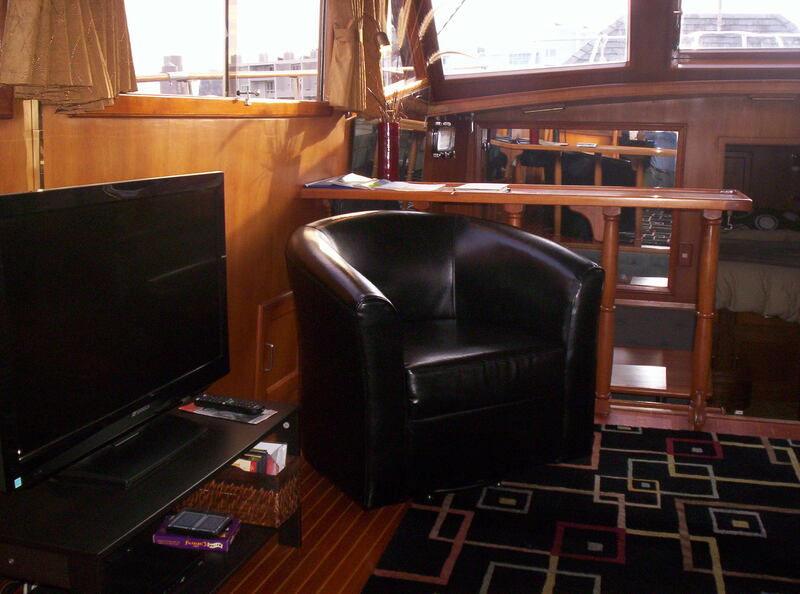 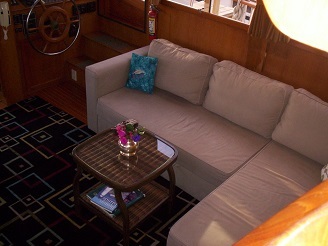 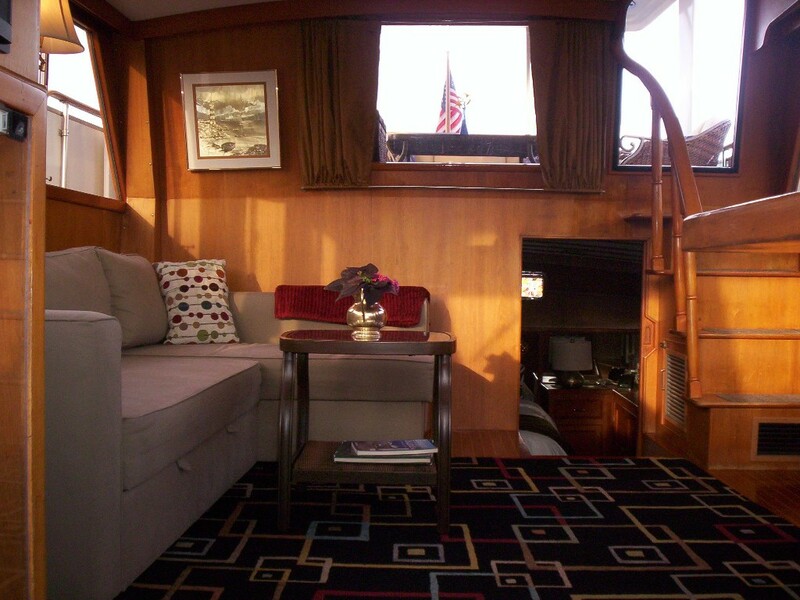 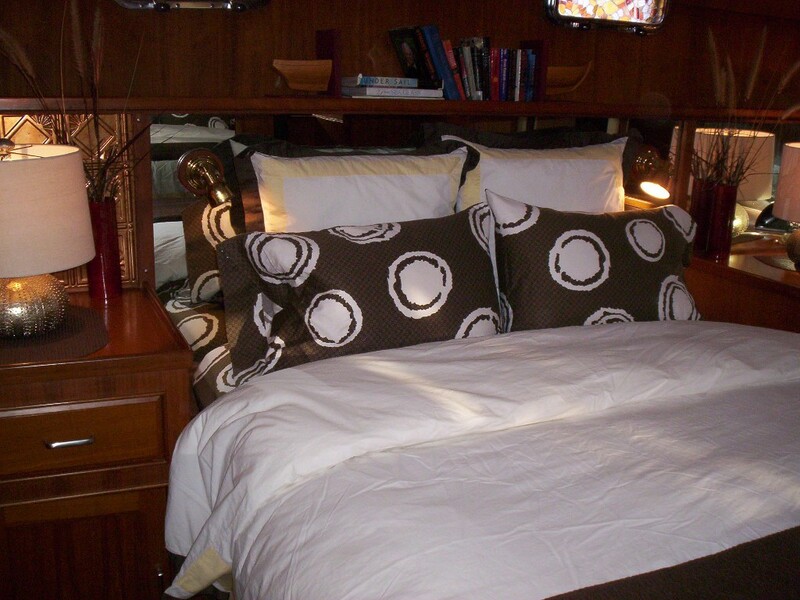 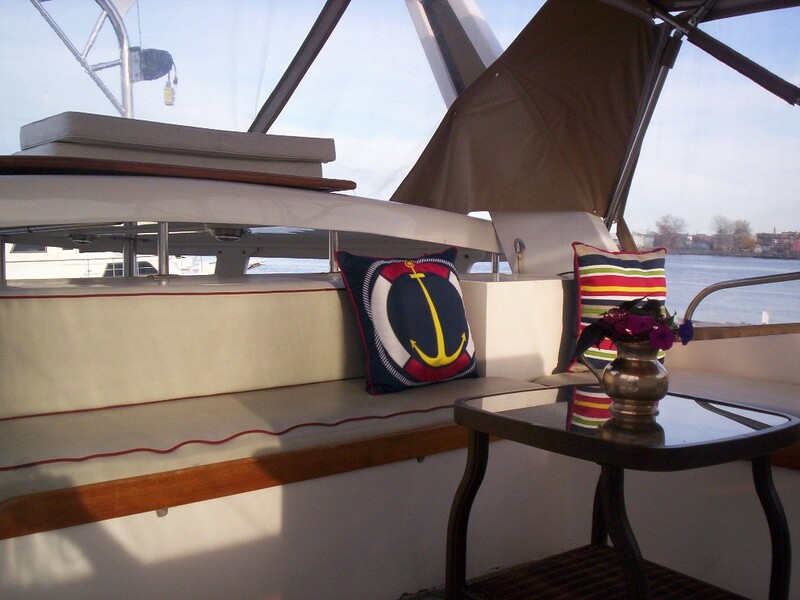 The Green Turtle I is a houseboat with two separate luxury queen suites, Sea Turtle and Loggerhead. 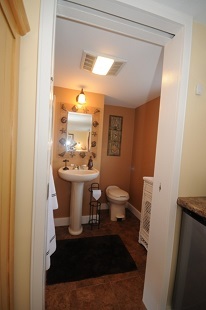 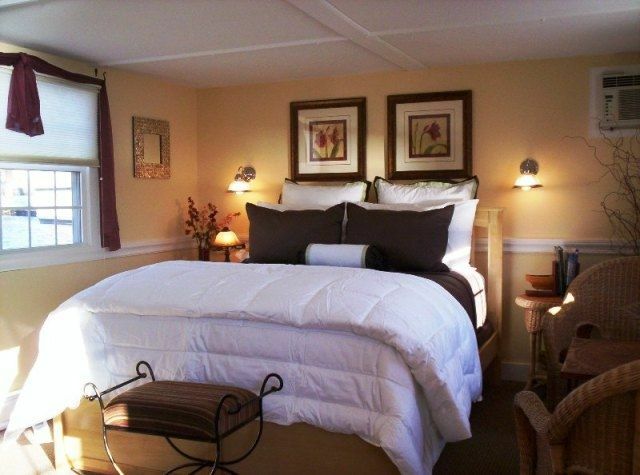 Each suite has a private bathroom and kitchenette. GT I sleeps 2 people in each suite. 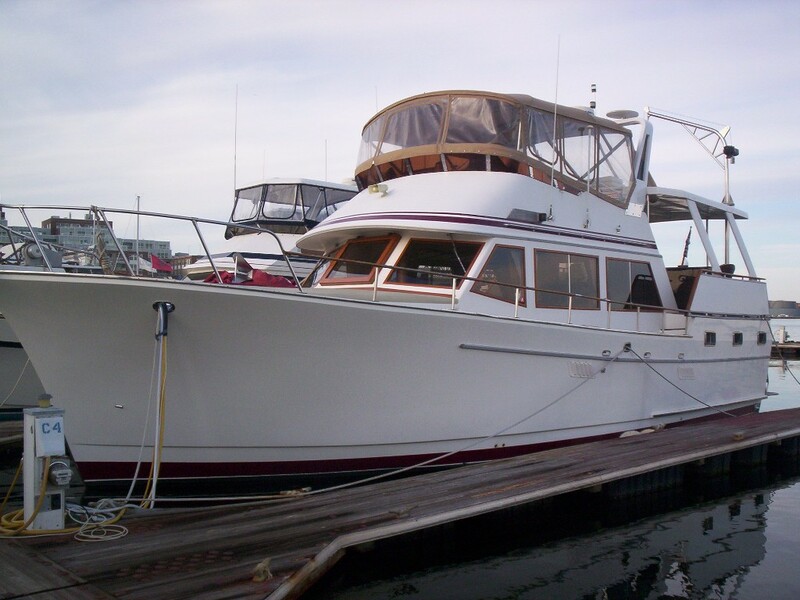 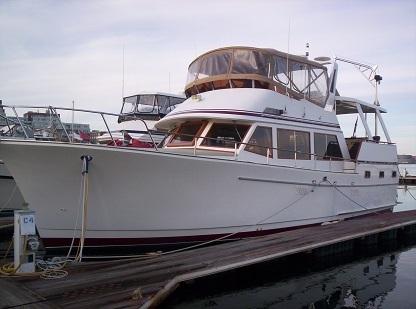 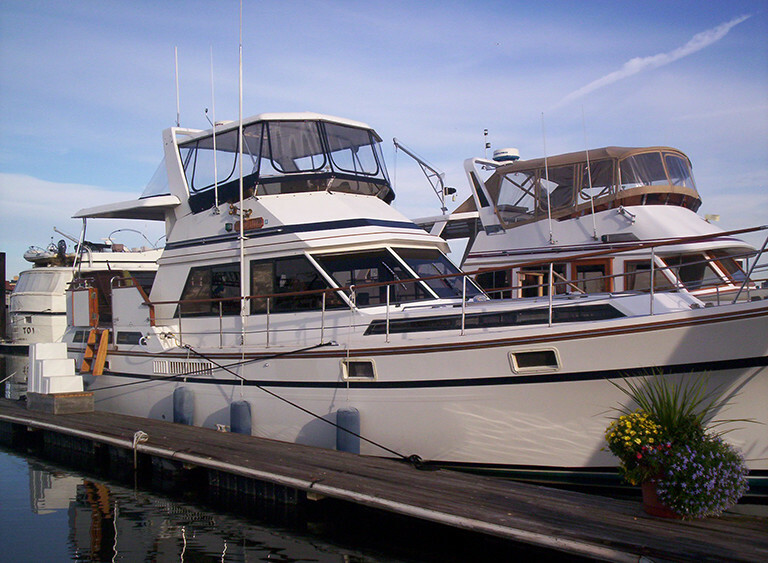 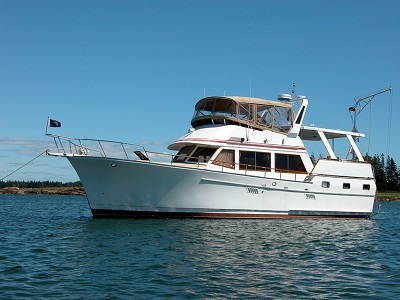 The Green Turtle II is a 45 foot motor yacht with two queen staterooms, a private bathroom and shower in each, salon, dinette, galley and outdoor aft deck. 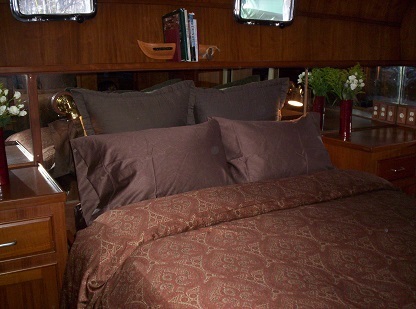 GT II sleeps up to 6 people and is yours exclusively regardless of the size of your party. The Green Turtle III is a 43 foot motor yacht with two queen staterooms, a private bathroom and shower in each, salon, dinette, galley and aft deck. GT III sleeps up to 4 people and is yours exclusively regardless of the size of your party. 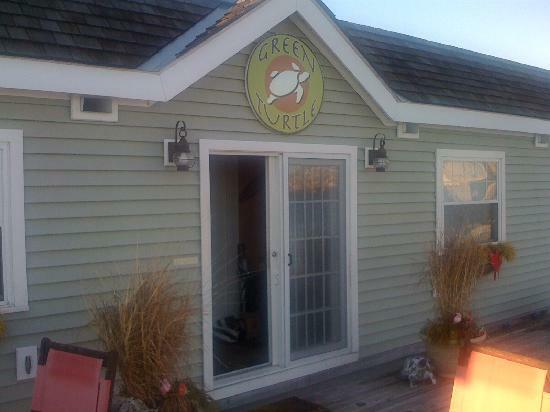 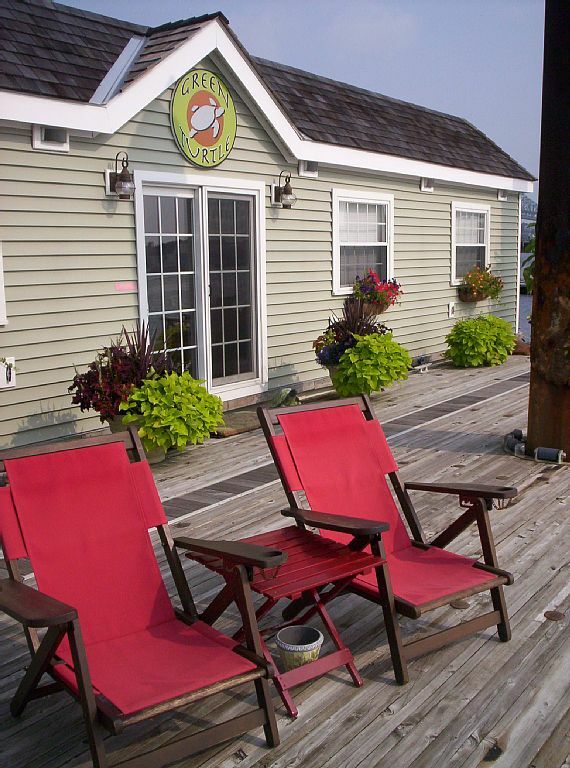 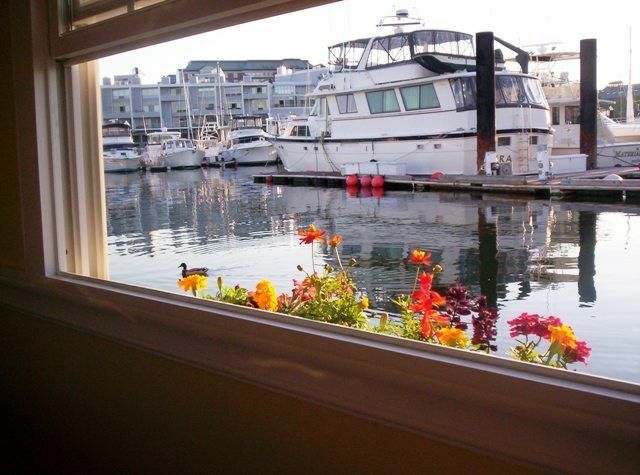 The Green Turtle is a floating bed & breakfast as luxurious as it is unique. 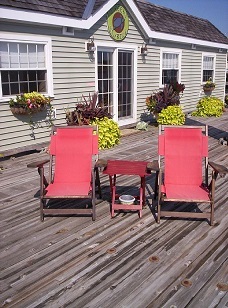 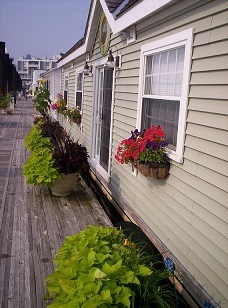 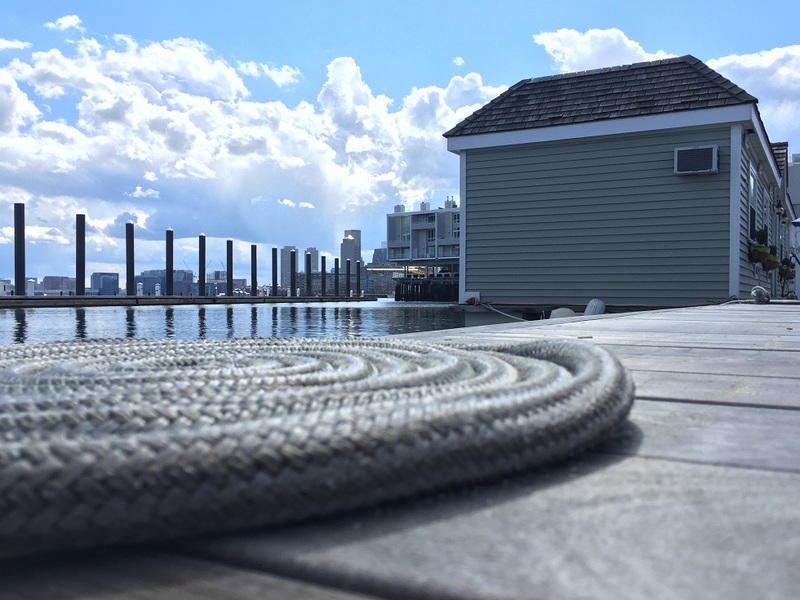 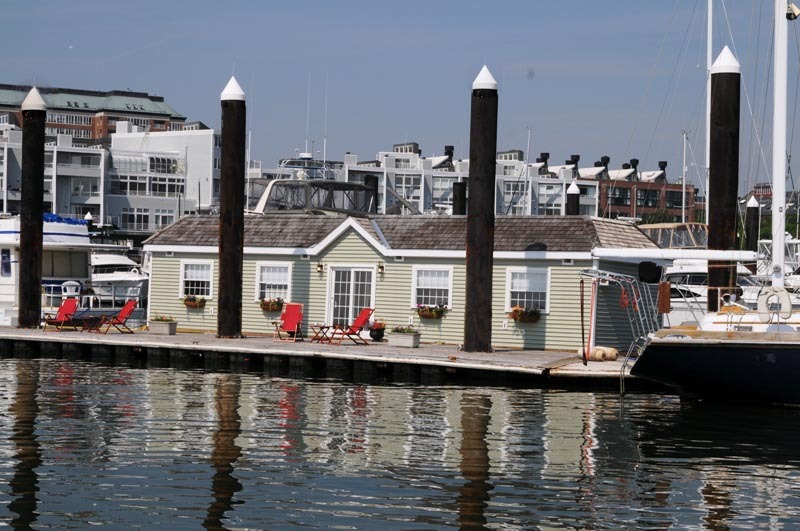 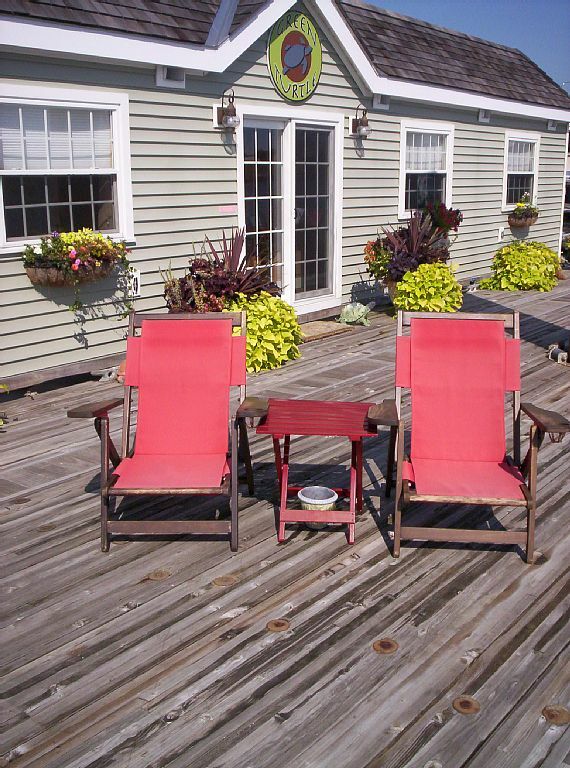 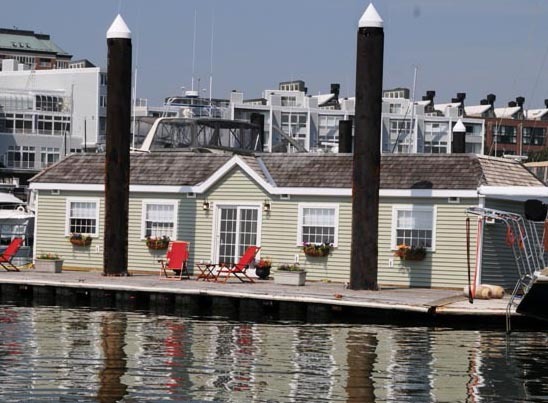 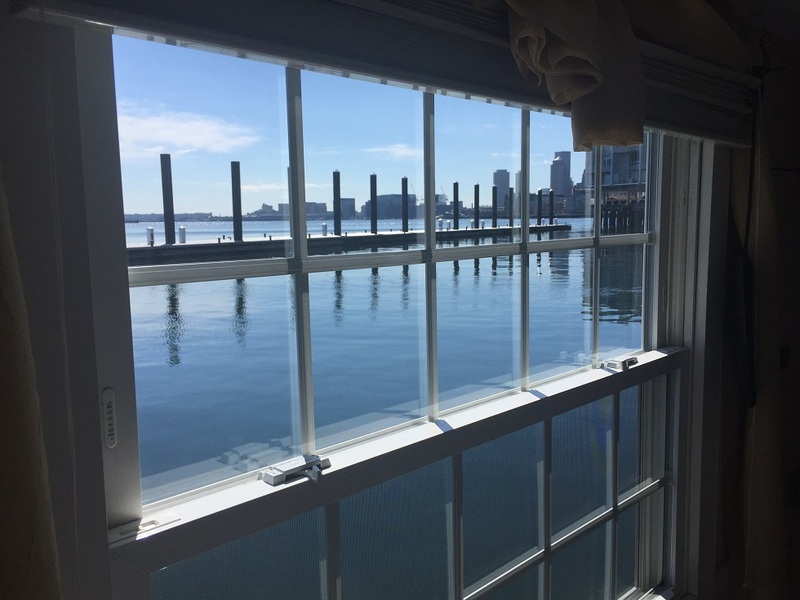 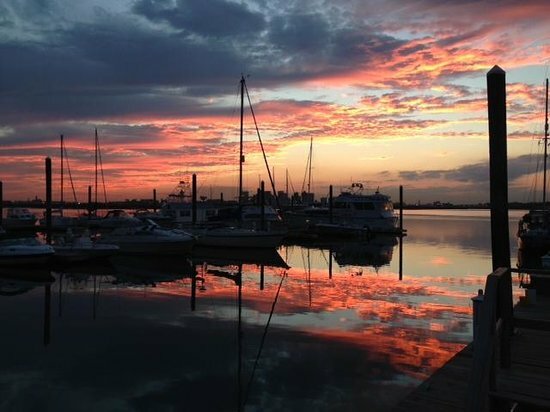 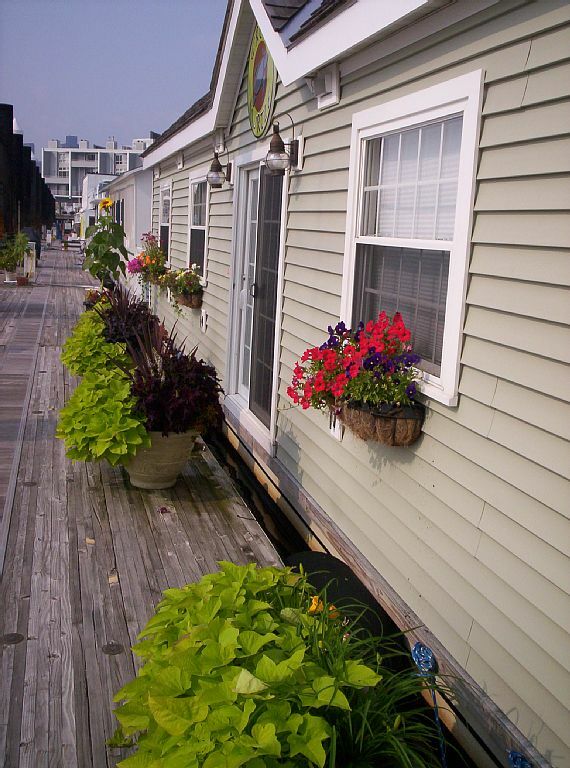 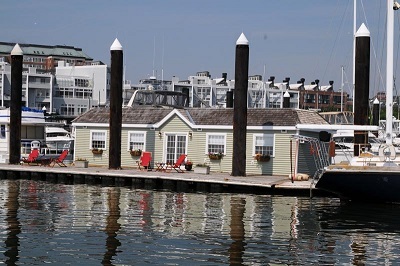 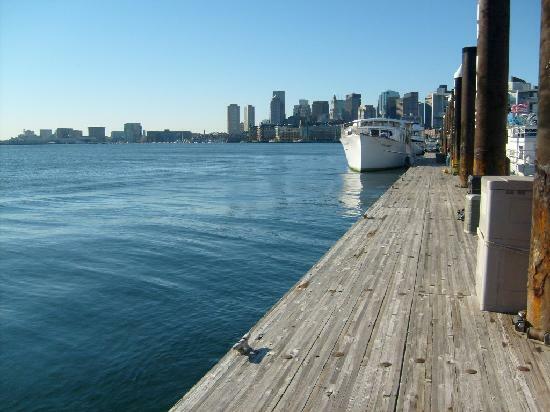 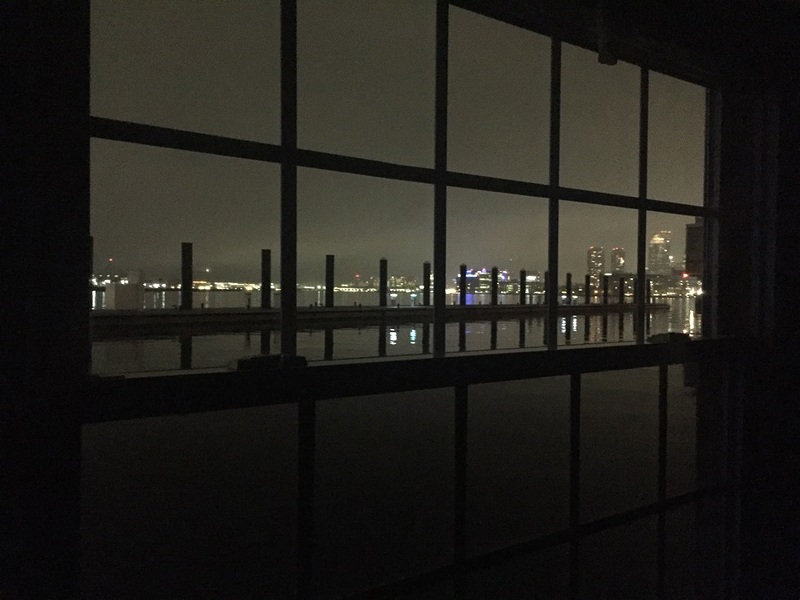 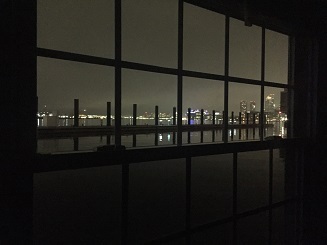 Set in the historic Charlestown Navy Yard, the Green Turtle offers an expansive view of the Boston Harbor skyline along with the comfort and amenities of a modern bed and breakfast. 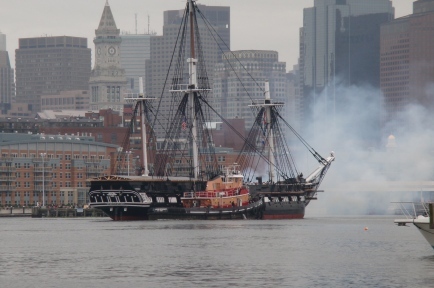 Walk to the USS Constitution and the Freedom Trail to the North End and downtown Boston or take the water ferry to numerous points along the city's waterfront. 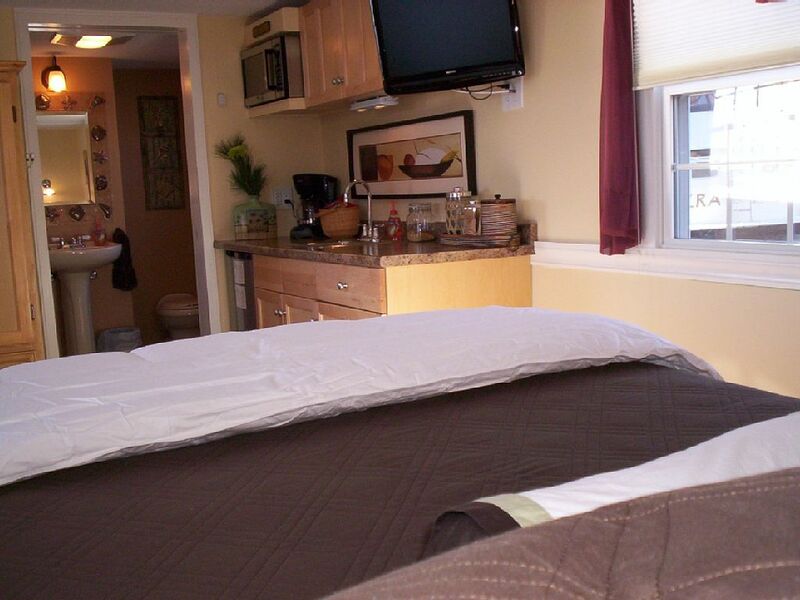 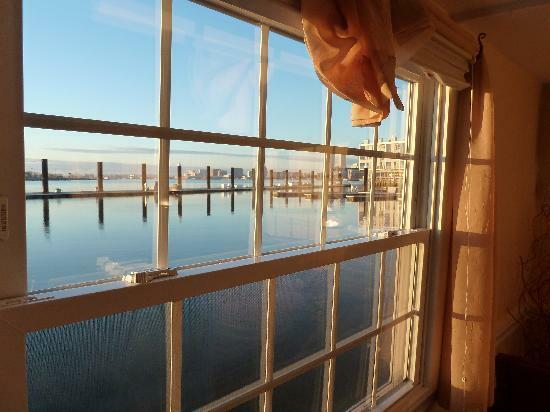 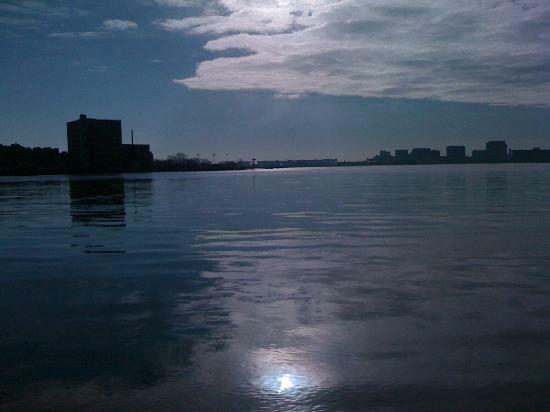 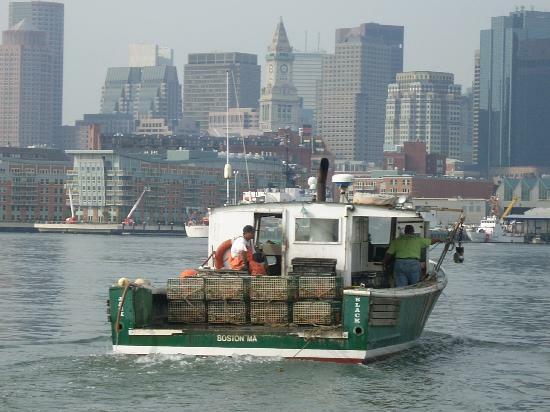 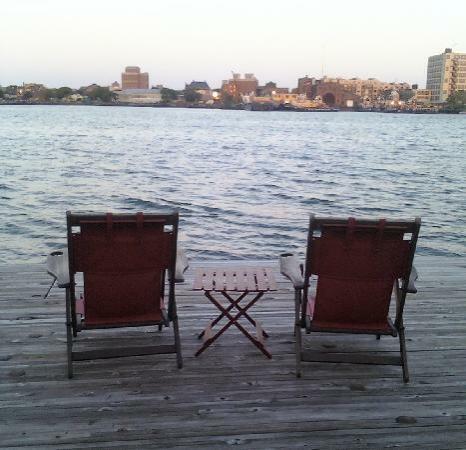 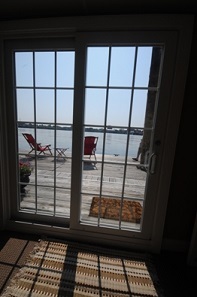 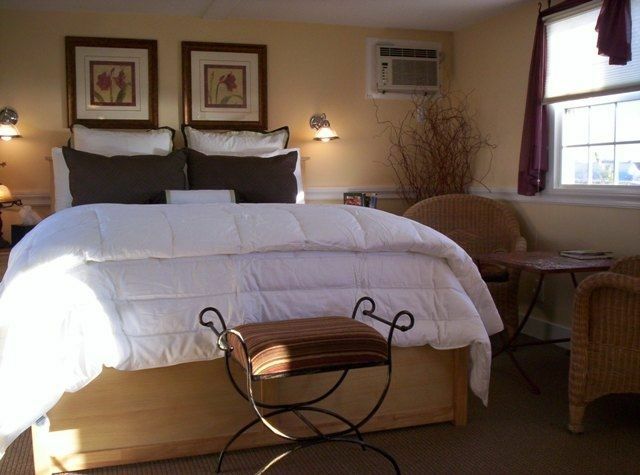 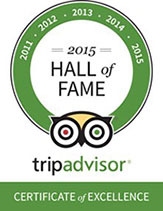 We are just four miles from Logan Airport. 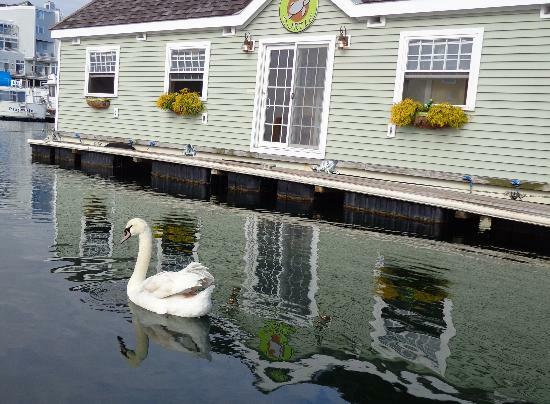 You can take a water taxi to get to the B & B.